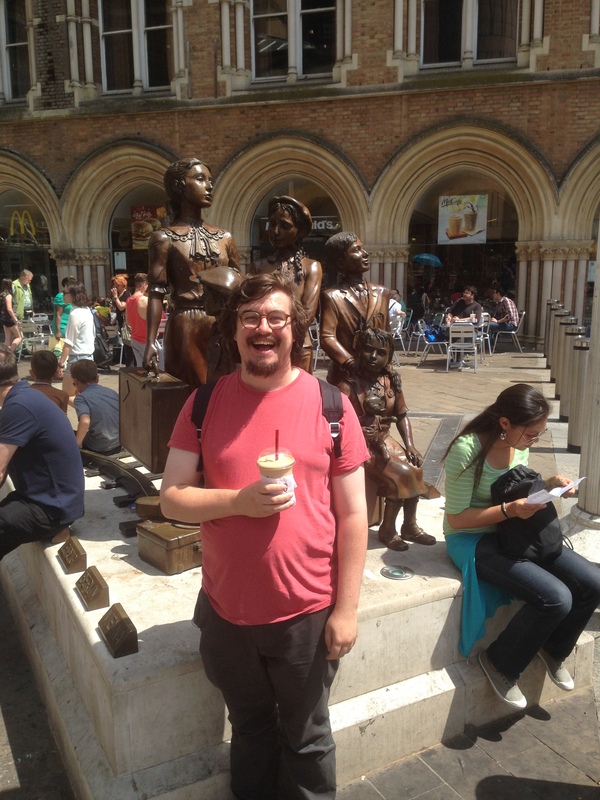 Start at Liverpool Street Station, outside by the Kindertransport Memorial. 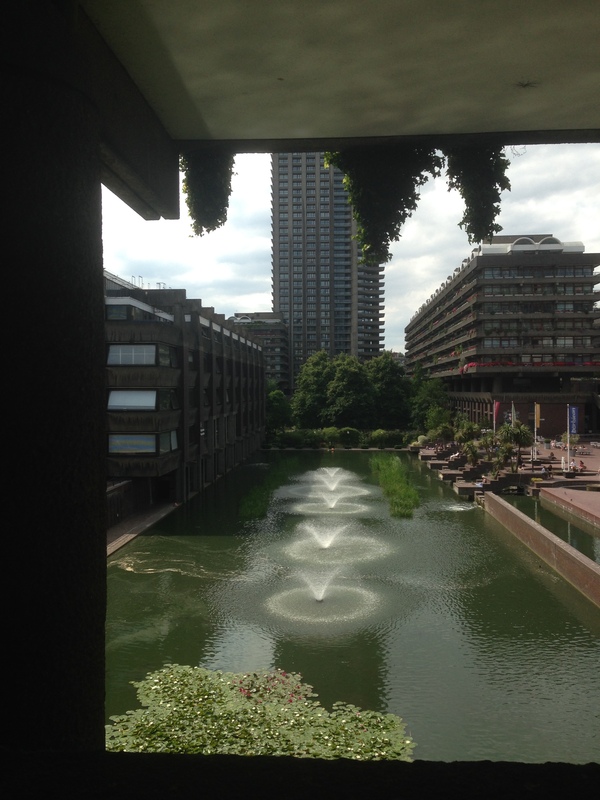 Walk south down to meet London Wall, cross over the road and continue on your left along London Wall, towards the Barbican and the Museum of London. You’ll notice a few strange buildings along this stretch, a mixture of sumptuous Victorian faux gothic and new builds of plain blueish glass. You will notice parts of the wall, first erected by the Romans as a defence against barbarian attack. 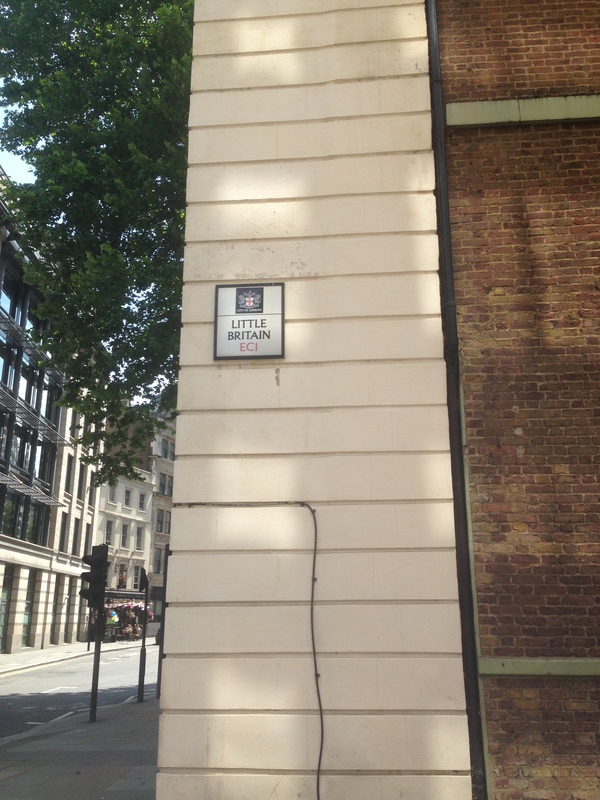 The wall was added to over centuries and used to mark out the boundaries of the city of London. 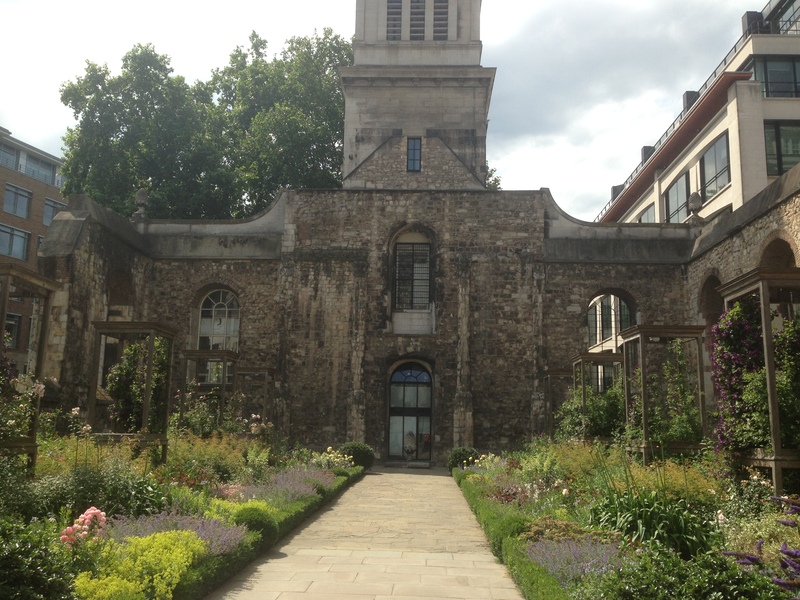 Turn into Postman’s Park, which is on the left hand side of this church, St Botolph’s Aldersgate. This park is named after it’s popularity with postmen from the nearby Royal Mail Offices and their fondness for eating their sandwiches here. 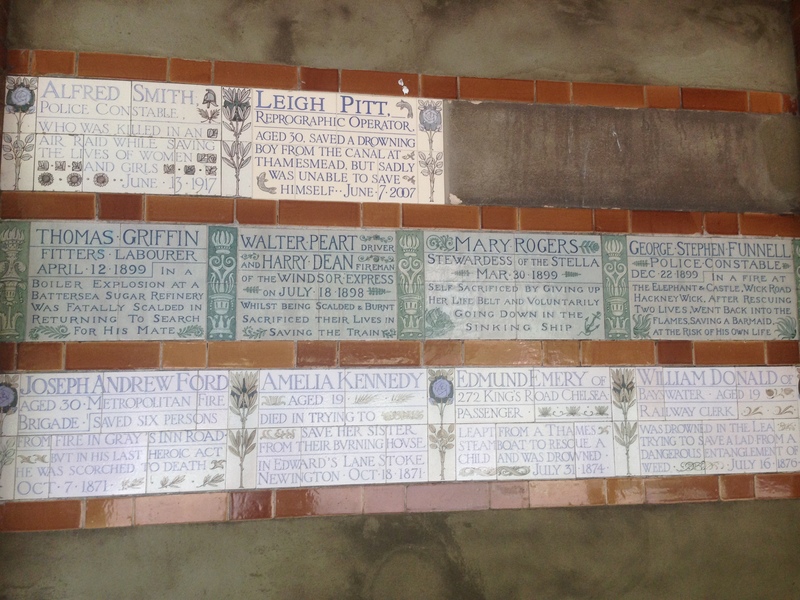 In 1900 G.F. Watt’s installed his Memorial To Heroic Self Sacrifice, a series of ceramic tiles detailing the names and brief stories of people who died attempting to save someone else’s life. Rest here in the shade for a while. Exit the park on the other side, and turn left. 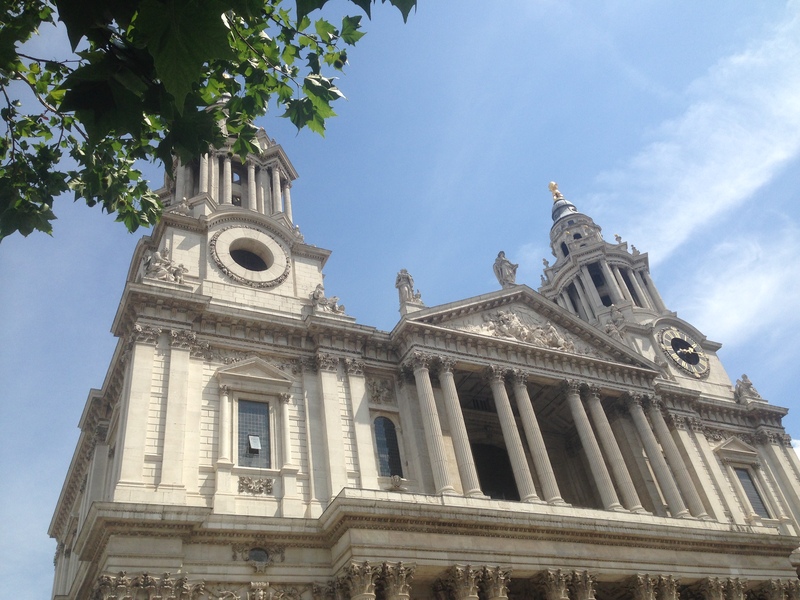 You will immediately notice St Paul’s Cathedral. Walk towards it, down Paternoster Square. 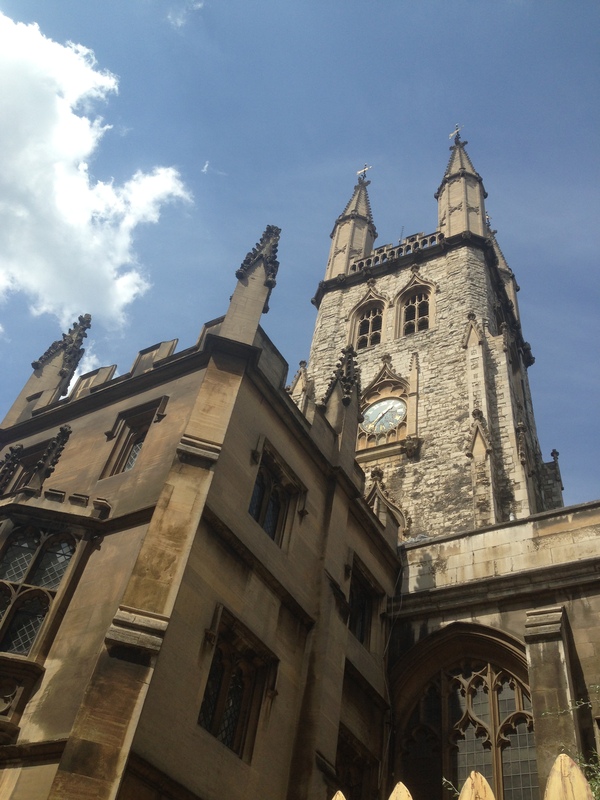 There is free entry to the Cathedral during hours of worship, there is also free wifi in the cafe in the crypts. 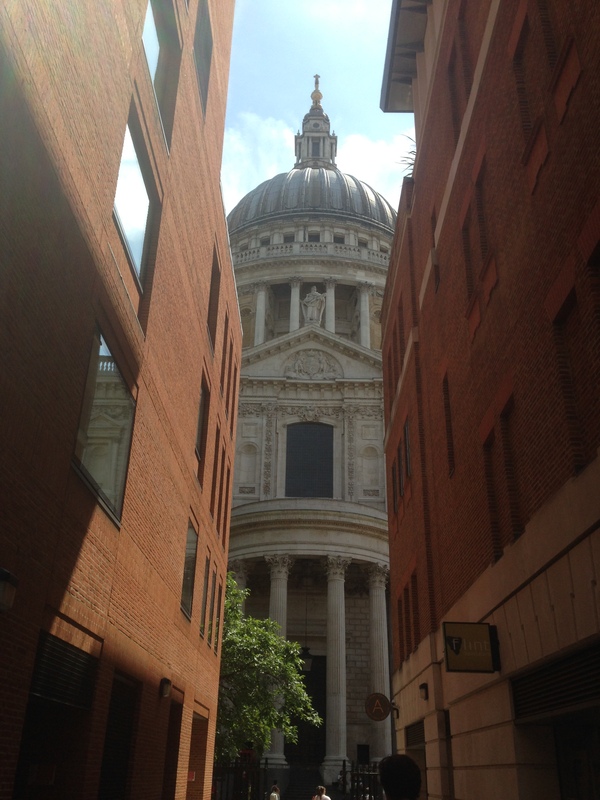 Walk to the front of the Cathedral and continue walking downhill towards Fleet Street. 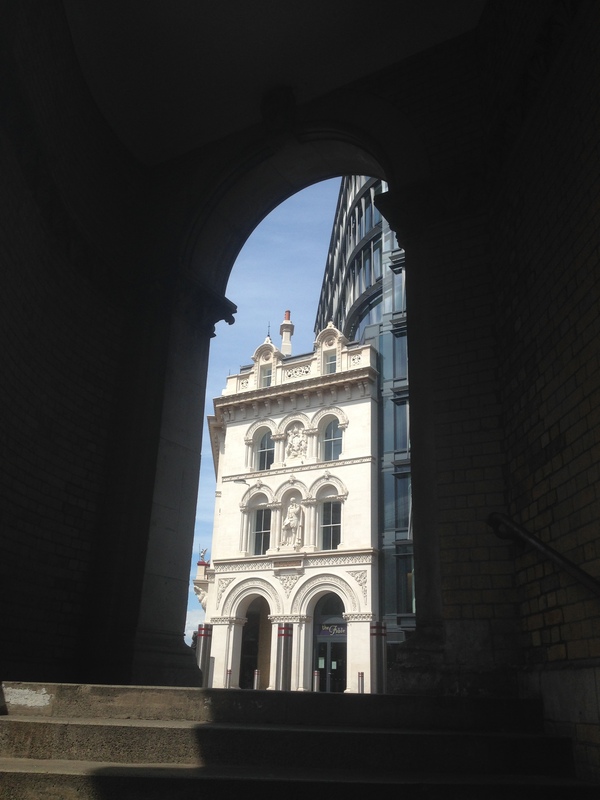 You’ll notice St. Bride’s Church Spire as you cross over Ludgate Circus. This spire is said to be the inspiration for the shape of the tiered wedding cake. Continue down Fleet Street until you reach the Starbucks (there’s also a sign for Dr Johnson’s House) turn right down this narrow alleyway. There is a metal plate inlaid in the pavement here, a front cover from The Sun newspaper, commemorating Fleet Street’s heritage as the birth place of British Newpapers. 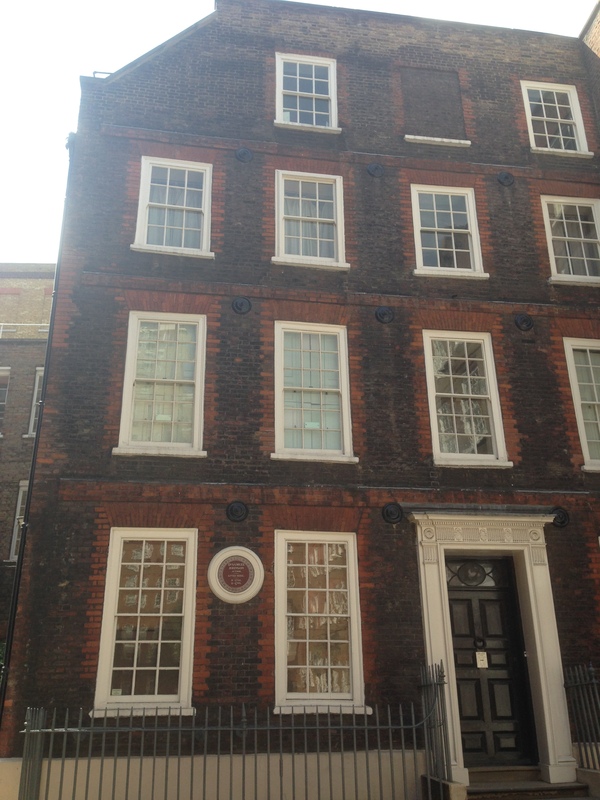 Follow the narrow alley around until you reach Gough Square, you’ll notice a few blue plaques. 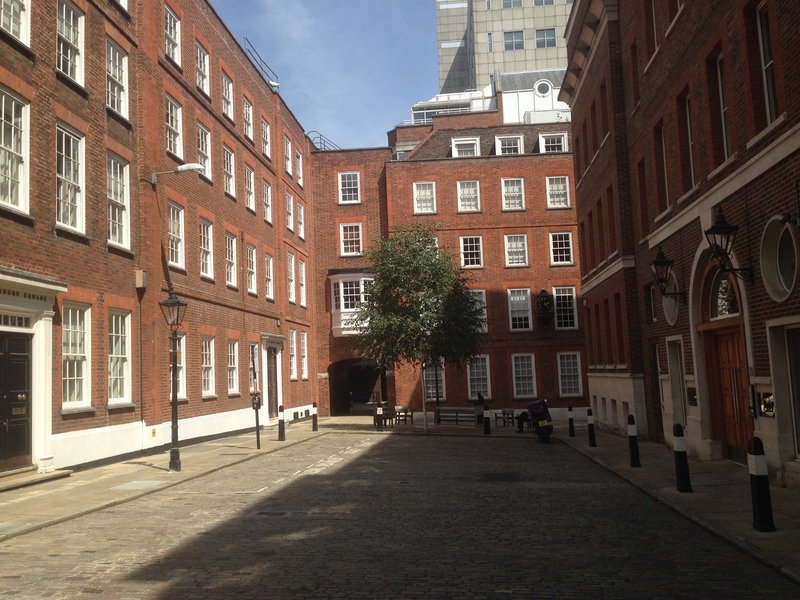 This quiet square is where Dr Samuel Johnson lived and where he wrote his famous Dictionary. 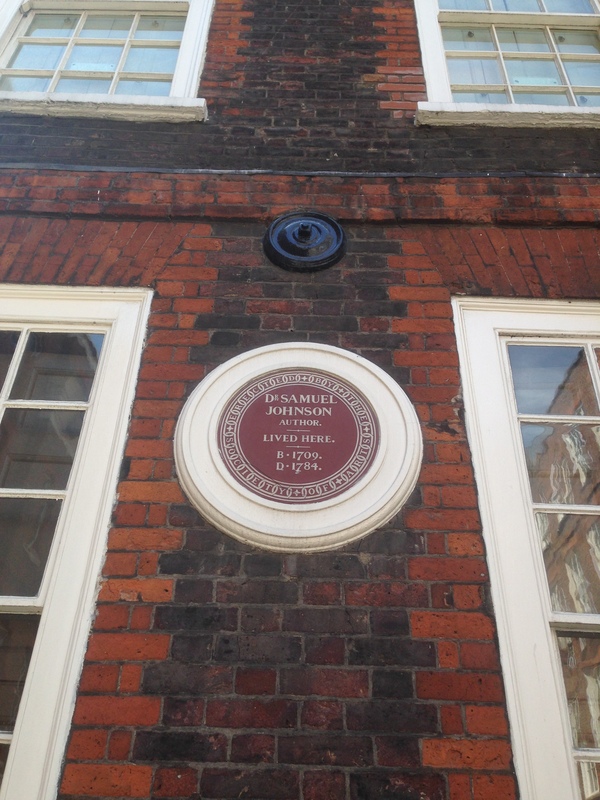 The house is now a museum, detailing his life and his work writing the Dictionary. 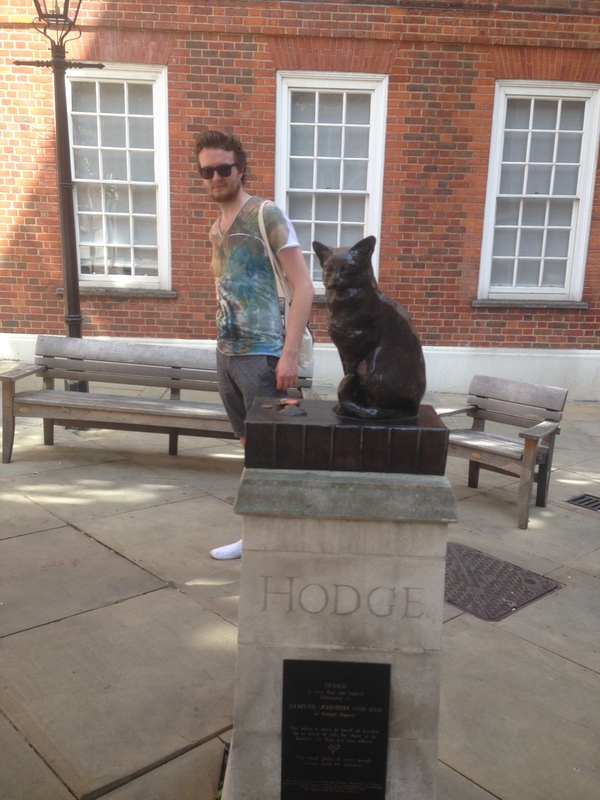 On the otherside of the square surrounded by benches is a statue to Hodge, Johnson’s cat. The statue was placed in the square in 1997. It is said to be good luck to leave some change in the oyster shell on the statue. Hodge is perched on top of a first edition of the Dictionary, possibly something he used to do as Johnson was working. This is another nice place to have a rest. Once you are on the viaduct, have a look at the statues representing Commerce, Agriculture, Science and Fine Art. There is also a few large Dragons signalling the boundary of the City of London. 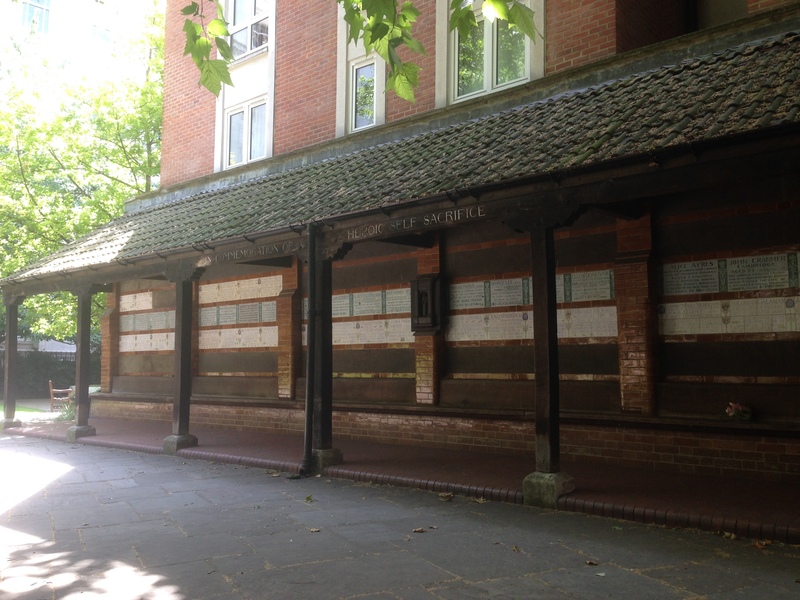 Turn up this road (it should look familiar) as you are back at the entrance of Postman’s Park. Walk through the park again, exiting this time where you first entered it. 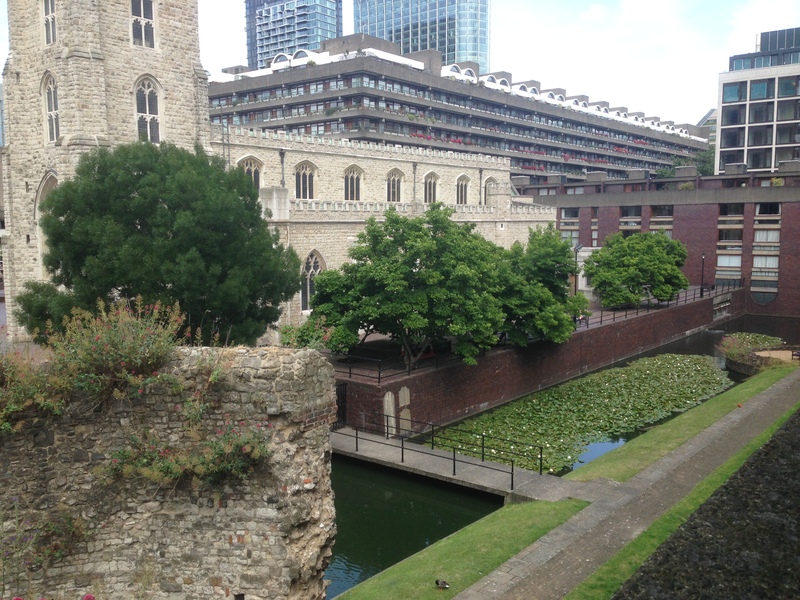 You will see more of the London Wall and also another Church, St Giles-Without-Cripple-Gate. If you can manage to get out of the Barbican Centre, walk along by Moorgate Station, turning up on the corner where M&S is. Walk down this street until you reach the entrance to Liverpool Street Station. Here there is a sculpture by Richard Serra called Fulcrum, which is five huge sheets of steel 55 foot high, which are free standing and only remain upright because each sheet leans on the next. You can stand in the centre of the sculpture, and look up to see a hexagon shape, rest here in the shade for a moment. This is the end of the walk.